The Cuisinart Nonstick-Edge Collection offers blades with grooves to keep food from adhering to the blade and make slicing easier. 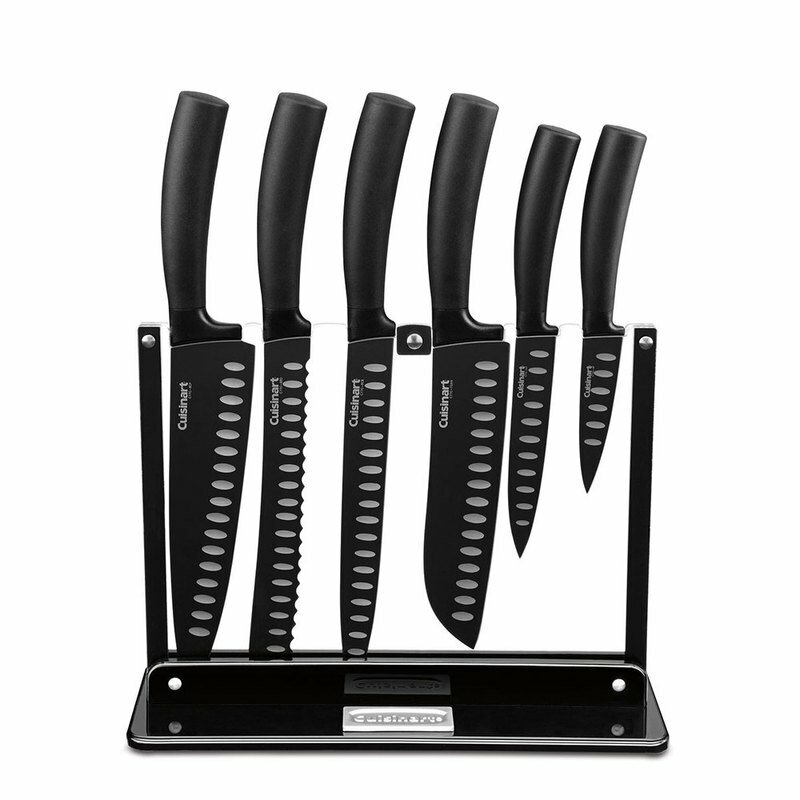 These finely honed and tapered blades are made of premium high-carbon stainless steel. Their easy handling, comfortable soft grip, and handsome professional look make them a perfect addition to any kitchen. Protective Nonstick coating for long-lasting use.